Happy Halloween!!! 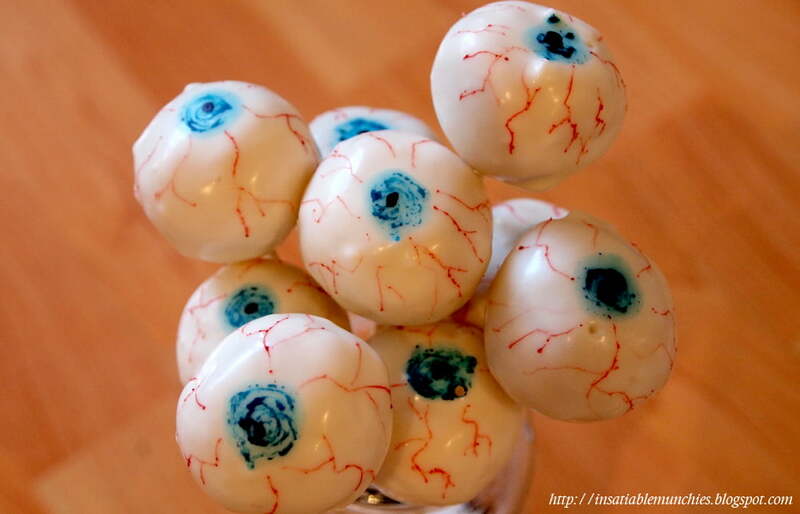 As per the previous post, I was thoroughly inspired to make these eyeball cake pops. 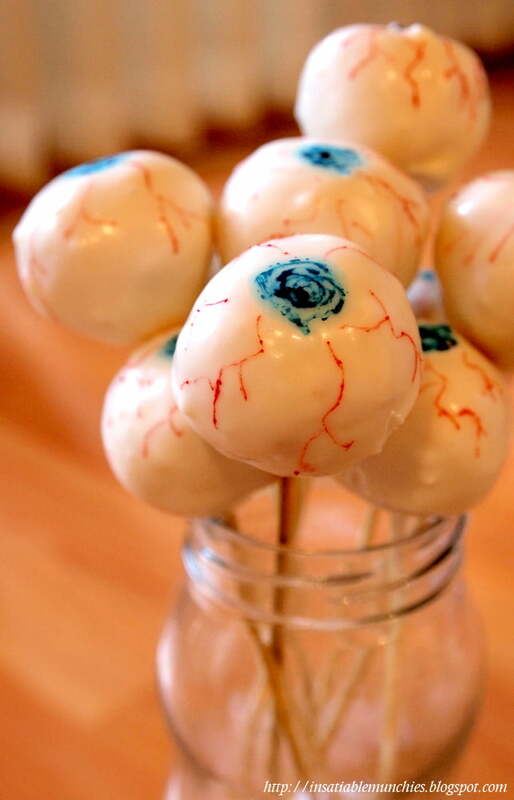 But, rather than leave these eyeballs as is, I decided to put them on skewers this time. 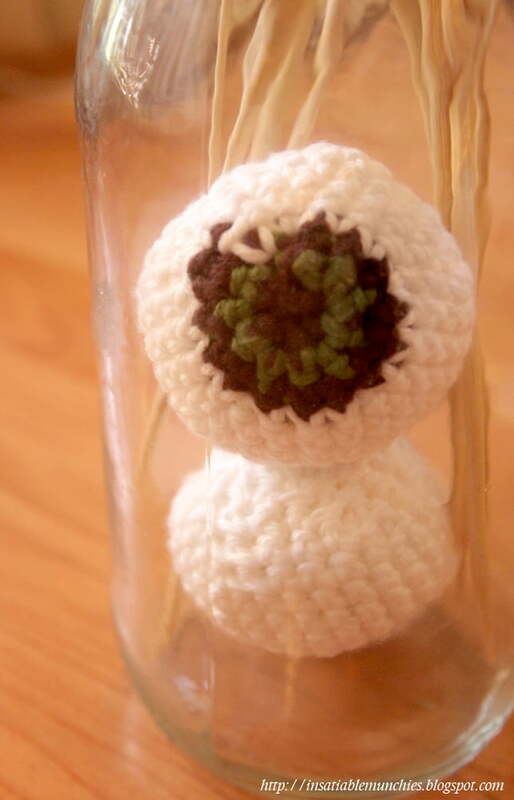 I decided to put them in a tall jar – like some sort of twisted flower arrangement – and the jar looked a little empty, so I crocheted some eyeballs to put inside! I got the pattern here. As you can see, I like me a theme. Hehe. I hope you have a yummy (and creative) Halloween. =) Have a good one everyone!